Thinking about trying out the Keto way of eating (WOE) but feeling overwhelmed? Don’t worry, I am too. I recently starting eating Keto under the supervision of my doctor. Here are some simple tips that helped me get started with the Keto way of eating. It’s usually easier to add things to your diet instead of removing them. If you want to ease yourself into Keto gradually, add these into your diet without making any other changes. These are all healing and nutrient-dense: they contain a lot of nutrients per calorie. Now that you’ve added healthy foods, your next step is to make some food swaps. If you do a quick internet search for your favorite dishes, you should be able to find a Keto-approved version. Even surprising ones, like desserts or bread, have usually been modified and recreated. Plus, you’ll be able to find food-specific swaps. Switch your favorite foods and go-to meals for the Keto-friendly equivalent. If you’re serious about wanting to improve your health? There are some foods you’ll have to say goodbye to, but because you’ve added new healthy foods to your diet and found Keto swaps for dishes and ingredients you’ll find this a lot less painful than you might think! The best strategy is to clean out your kitchen cupboards, so you no longer have non-Keto foods at home. If they’re not there, they can’t tempt you! 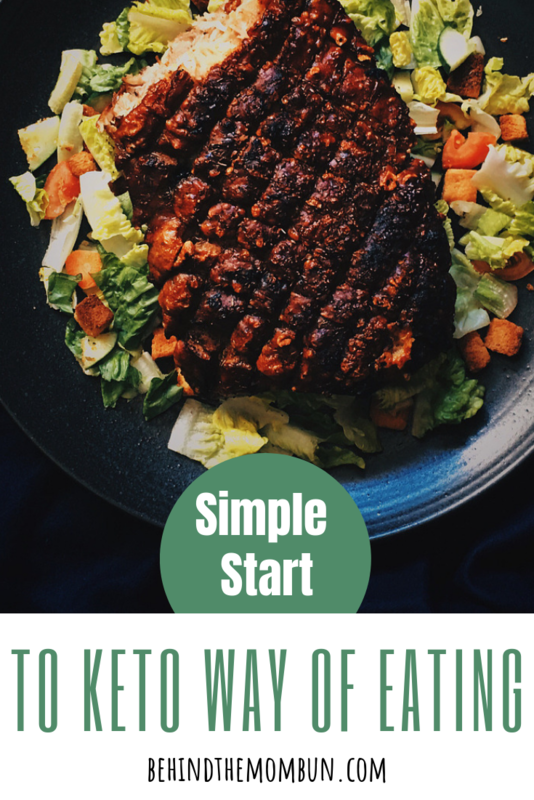 The post Simple Start to a Keto Way of Eating appeared first on Behind the Mom Bun.